Just when I thought I'd seen it all in Cycle Chic/Social Documentary of Urban Cycling. After six years, it's tough to see something new, but yesterday, this gentleman rolled past. 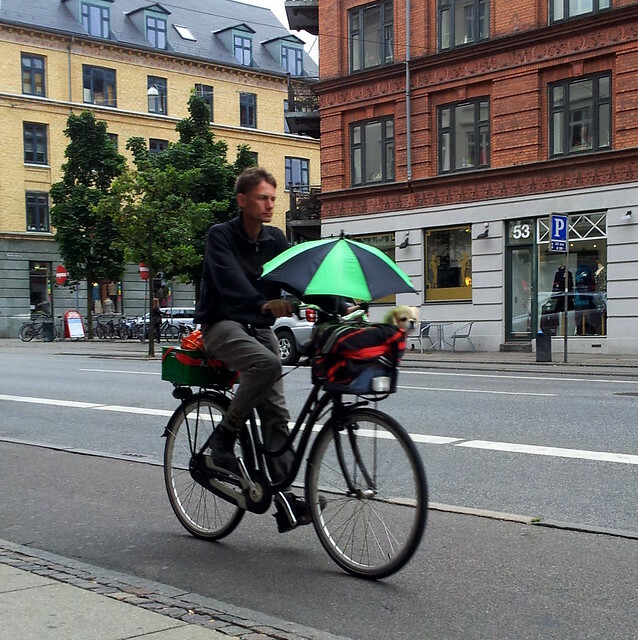 Check that out... handlebar-mounted mini umbrella for his dog in the basket. Fantatsic!